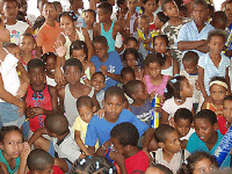 PPAF's work as related to the Dominican Republic ranges from agribusiness to renewable energy to microfinances to sustainable tourism -- all with the common goal of improving rural conditions and building partnerships to reduce poverty. The Dominican Republic and Haiti share the island of Hispaniola, in the Caribbean, with the Dominican Republic occupying the eastern 2/3rds of the island. The D.R. has the second largest economy in the Caribbean and Central America. While the service sector has recently overtaken agriculture as the leading employer of Dominicans (mostly from growth in tourism and Free Trade Zones), agriculture remains the most important sector in terms of domestic consumption and is second behind mining in terms of export earnings. 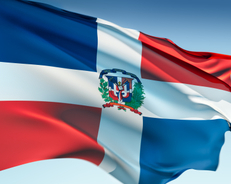 "Rural Poverty in the Dominican Republic"
​According to a report from the International Fund for Agricultural Development (IFAD), "more than a third of the country’s total population lives in poverty, and almost 20 per cent are living in extreme poverty. In rural areas poor people constitute half of the population."